The introduction of 20th Century cosmetic products has led to the alteration of the skin’s natural condition and the break down of its defences. This has resulted in a skin allergy epidemic, with a 500% increase in Children’s skin allergies and ailments, especially dermatitis, eczema and psoriasis. And the most disturbing aspect of this skin allergy epidemic is that the rate of this deterioration has increased markedly in the past 5-10 years. “When it comes to healthy skin, microbial biodiversity is everything” – that was the conclusion of my JooMo’s seminal published paper on the skin microbiome. 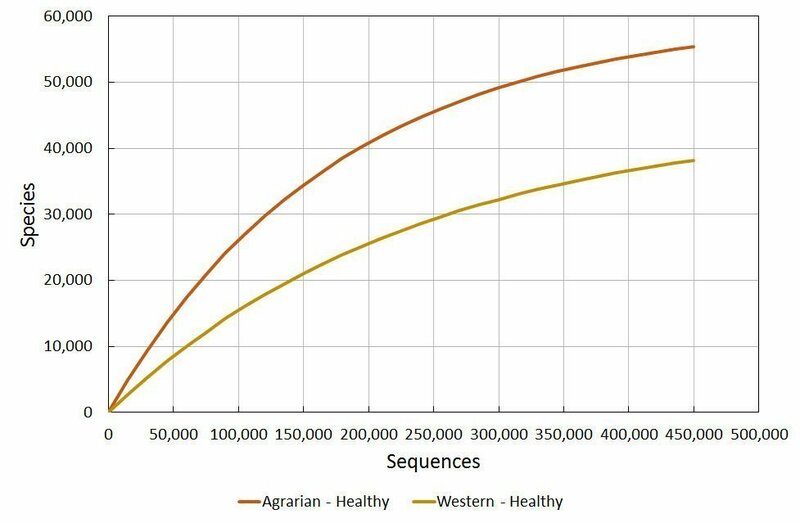 The 2017 research showed a dramatic decline in the levels of Western skin biodiversity when compared to remote South America peoples uncontacted with Western culture. This so-called ‘Caveman’ skin, untouched by modern civilisation, was far different to Western skin and displayed unprecedented levels of bacterial diversity. Skin diversity was higher in communities that were less exposed to Western practices, which demonstrates that environmental factors are linked to damaged skin in developed countries. Research Paper #2: Proving the damaging role of synthetic ingredients. For the first time, clinical trials have shown how regular use of everyday cosmetics damages the skin, repressing the microbiome and de-moisturising the skin. Everyday cosmetics were also shown to greatly de-moisturise the skin, a key reason why skin becomes damaged. 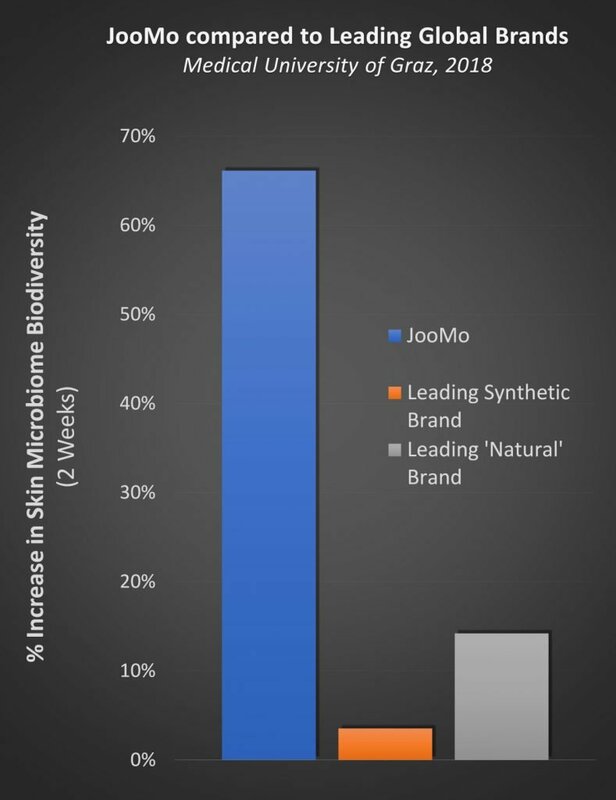 Again by contrast, third wave technology in JooMo meant that it was the only product to maintain skin moisture. » they alter the skin’s natural condition. » they alter the skin’s pH. » they disperse ‘good’ bacteria from the skin and leads to pathogenic bacterial, viral & fungal growth. » they strip the skin of its natural oil and moisture. » they change the skin’s the electrolyte balance. » they chemically alter the skin’s natural environment. » they are responsible for long term allergy sensitisation and long term immune system malfunction. It is products such as face washes, body washes and shower gels that are of key concern as they are used every day. In effect, the skin is getting covered in ‘junk’ chemical additives on a worryingly frequent basis. A weakened skin ‘barrier’ ultimately leads to allergic reactions and microbial (fungal and bacterial) infections, and most worryingly, it is young skin that is most vulnerable. One in 12 adults and one in five children in the UK now have eczema, of which contact dermatitis is one of the most common types.